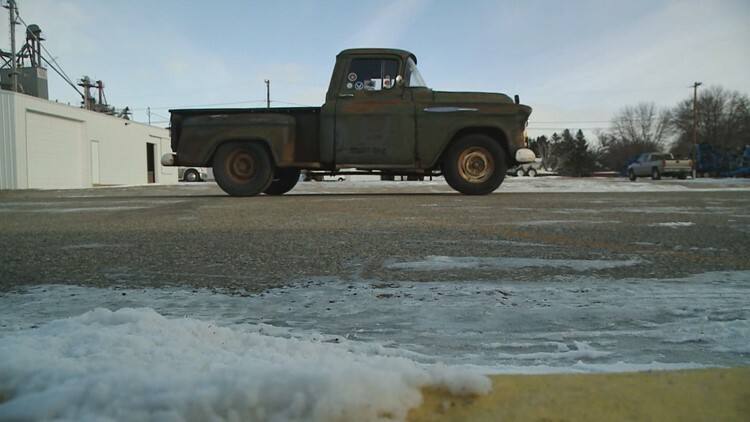 A '57 Chevy truck carried a MN man to work during his entire career. PRINSBURG, Minn. - It’s the best $75 Bob Sportel has ever spent. Sportel was in his early 20s and needed a cheap ride to work when he paid $75 for a rusty Chevrolet pickup. 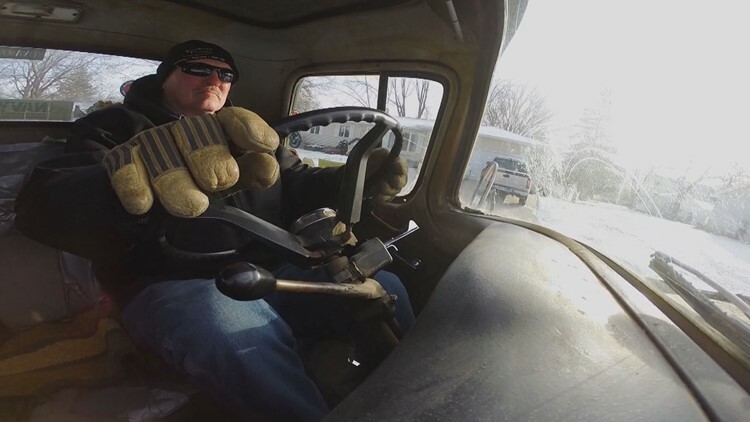 This week, Sportel retired from his job at Prinsburg Farmer’s Co-op, still driving to work in the same 58-year-old truck. “It kept going so I just kept driving it,” Sportel said. He had tried to negotiate the price down to $50 before paying the local farmer who owned the truck his asking price. Bob Sportel tried to negotiate down to $50 for the pickup truck, before he settled on $75. “If I could get four years out of it, I thought I’d be really happy,” Sportel said. 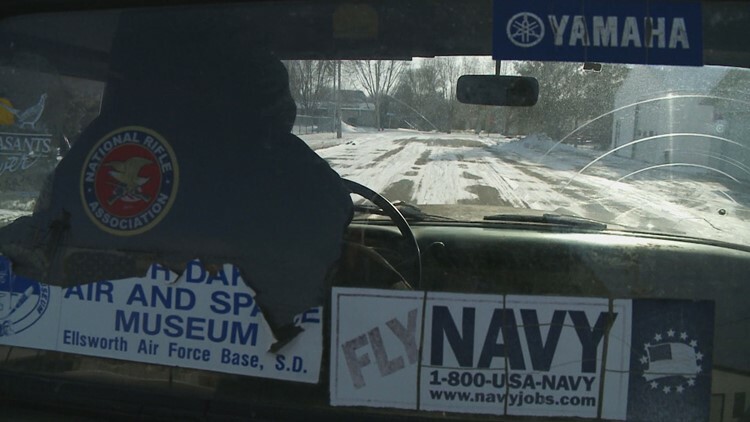 Sportel ended up driving the pickup to work for 38 years before his retirement. The odometer in the 1957 Chevy pickup was broken when Sportel bought it. But he estimates the truck has racked up 300,000 miles between its former farm life and the daily drive the past 38 years between Sportel’s home in Prinsburg and his work across town. Bob Sportel figures he’s spent less than $1,000 on repairs during nearly four decades of use. Sportel has applied several layers of duct tape to the truck’s upholstery. Bondo holds the front lights in place and rust holes provide portholes to the trucks underside. Sportel has never garaged the truck and has never had it repainted. The odometer in the 1957 Chevy pickup was broken when Sportel bought it, but he estimates the truck has racked up 300,000 miles. “It’s pretty basic,” he says. The old Chevy doesn’t even have a radio. Sportel’s one extravagance: four oil changes a year. He figures he’s spent fewer than $1,000 on repairs during nearly four decades of use. Sportel even passed on a new muffler when the old one rusted out. “Everybody knows Bob’s around,” says Phil Breems, a co-worker at the Farmer’s Co-op. “We all get out of the way,” he laughs. Though Sportel has retired, his truck will soldier on. 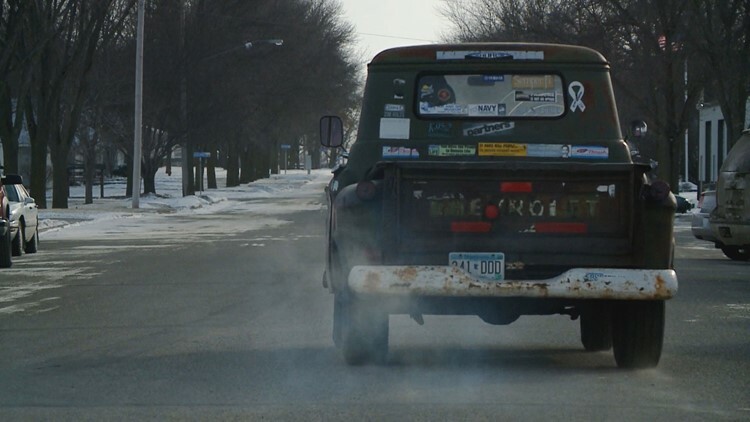 “It just becomes a part of you,” Bob Sportel says of his truck. UPDATE: Sportel told KARE 11 Reporter Boyd Huppert that he had finally bit the bullet and bought a brand new Chevy pickup in 2015. But no worries- he still drives his 'old' pickup around Prinsburg every chance he gets. He says the only work he's done on it since the story aired is add a new set of spark plugs.